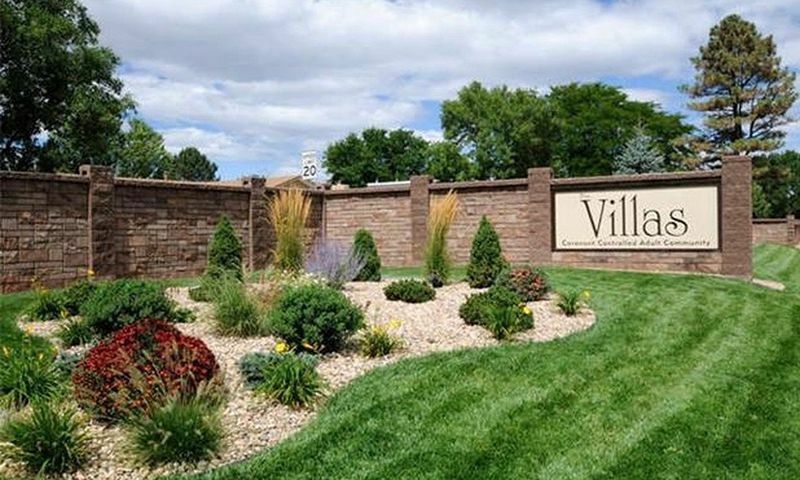 The Villas is a 55+ community in Lakewood, Colorado. This active adult neighborhood has 145 beautiful single-family and attached homes in a tight-knit and scenic community. The Villas has a small town feel in the midst of a large city, giving homeowners a peaceful enclave near the incredible attractions of the Denver area. With a low-maintenance lifestyle, lovely homes, and an unbeatable location in Lakewood, active adults will love all that The Villas has to offer. Neighbors in The Villas place a premium on the great outdoors. A recreation area acts as the neighborhood's natural gathering place. Here homeowners regularly come together for social events like picnics and holiday parties, or simply visit with each other in the common outdoor space. Residents in The Villas also have more time to do as they please thanks to the homeowners' association (HOA). The HOA fee covers snow removal, exterior maintenance, grounds maintenance, insurance, sewer, trash removal, and water. The Villas offers single-family and attached homes that were developed between 1968 and 1972 and now has 145 homes. The attached homes within the community range in size from 1,275 to 2,855 square feet and generally offer two to four bedrooms, two to four bathrooms, and an attached two-car garage. These homes are attached at the roof, maximizing privacy, and some come with sun porches, private outdoor space, eat-in kitchens, and formal dining rooms in an open floor plan. The Villas has a select number of single-family homes. These options range from approximately 1,450 to 2,698 square feet and have two or three bedrooms, two to three bathrooms, and an attached two-car garage. These homes offer more outdoor space than the attached units and some have finished basements, dens, and oversized kitchens. The Villas is located in Lakewood, Colorado, only minutes from downtown Denver. Just behind the community is Fairfield Commons, featuring restaurants, Planet Fitness, and clothing stores. Down the street are several more options including Target, Best Buy, Whole Foods, and a movie theater. For getting around town, 6th Avenue is up the street and leads straight into Denver. When traveling outside of the area is on the agenda, Denver International Airport is about 30 miles away. For some fresh air, O'Kane Park is within walking distance and the Lakewood Country Club is a couple of minutes away for your next round. Denver, CO, with its incredible outdoor amenities and cultural institutions, is less than eight miles from The Villas. With so much to do around the area, active adults will never be bored while living in The Villas in Lakewood, Colorado. There are plenty of activities available in The Villas. Here is a sample of some of the clubs, activities and classes offered here. The attached homes within the community range in size from 1,275 to 2,855 square feet and generally offer two to four bedrooms, two to four bathrooms, and an attached two-car garage. These homes are attached at the roof, maximizing privacy, and some come with sun porches, private outdoor space, eat-in kitchens, and formal dining rooms in an open floor plan. Please Note: Floor plans are not available at this time. The Villas has a select number of single-family homes. These options range from approximately 1,450 to 2,698 square feet and have two or three bedrooms, two to three bathrooms, and an attached two-car garage. These homes offer more outdoor space than the attached units and some have finished basements, dens, and oversized kitchens. Please Note: Floor plans are not available at this time. 55places.com is not affiliated with the developer(s) or homeowners association of The Villas. The information you submit is distributed to a 55places.com Partner Agent, who is a licensed real estate agent. The information regarding The Villas has not been verified or approved by the developer or homeowners association. Please verify all information prior to purchasing. 55places.com is not responsible for any errors regarding the information displayed on this website.